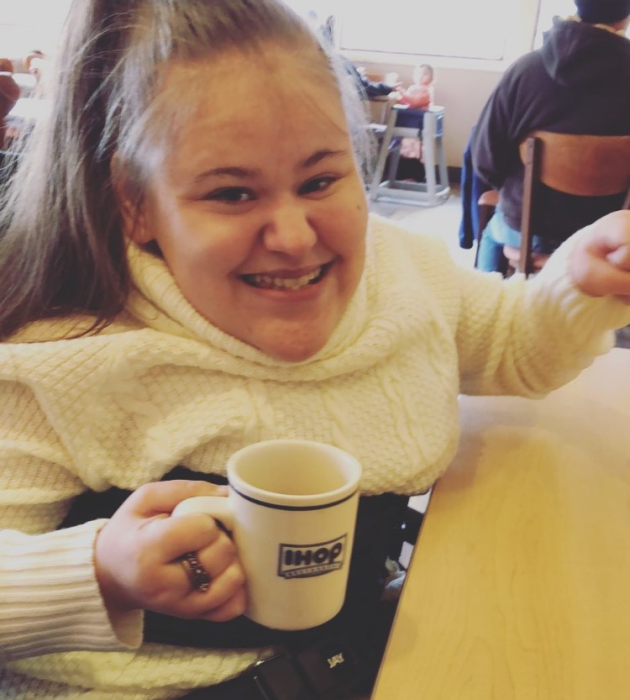 Skye Lynn Puckett, 24, of Wills Point went to be with her Lord and Savior on Saturday, February 9, 2019 in Dallas. Skye’s final Princess Party will be held at 2:30 P.M. on Saturday, February 16, 2019 at Ford High School Auditorium with Judge Hershey Barnett officiating. Interment will be immediately following at Hart Cemetery in Cash. Visitation will be held from 5:00-7:00 P.M. on Friday, February 15, 2019 at Ingram Funeral Home. In Skye’s honor, please wear Princess appropriate colors, no black please. Pallbearers: Emily Puckett, Chris Bee, Bryan Bee, Aaron Jackson, George Bee, and Travis Henderson. Skye was born December 15, 1994 in Greenville, Texas to Daniel Puckett and Angie Bronson Puckett. She was raised and attended school in Quinlan, graduating from Ford High School. She enjoyed shopping, hanging out with her big sister, Emily. They were pickles in a pickle patch. Skye was always a happy person no matter what life threw at her. She brought a smile to everyone’s face, she was a charmer, Skye enjoyed her money math skills training and it was something she looked forward to every week. It was her college. She adored her mom and dad and had them wrapped around her finger. She was a cell phone princess and loved to text. She is loved and will be missed by her parents, sisters Valerie Puckett of Greenville, Angel Massey of Wills Point, Emily Puckett of Canton and Nicole Kaldahl and husband Rick of Midlothian; 6 nephews and 3 nieces; and all her many friends; K9-Kids Big Mama and Jelly Roll Puckett. She cared for her dogs as if they were her children.